At Ecoleo Consultants Inc. our values are the foundation of our behaviours, attitudes, expectations and motivations. 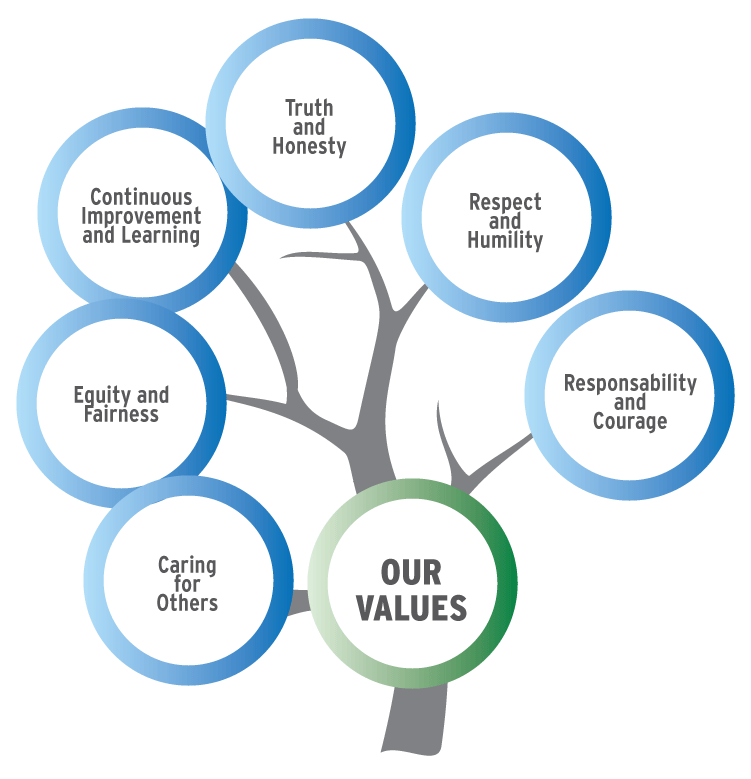 These values will be promoted in our organization and business community, and they will be maintained and used in our daily relationships, our activities and our programs and services. Our values will influence the decisions and the choices we make. We believe in these values now and we believe they will remain relevant to building our future. We are committed to meeting our clients’ needs and objectives by providing stimulating and engaging learning experiences. We are committed to helping you achieve personal and business success. We are committed to leadership excellence and building people and organizational effectiveness. We are committed to growing together the best performing individuals and teams. We are committed to listening to understand and echoing your ideas and concerns for better individual and group understanding. We are committed to taking the time to lead you through self-reflection, group-reflection and interactions, practicing and developing skills, and providing timely observations, feedback and recognition.